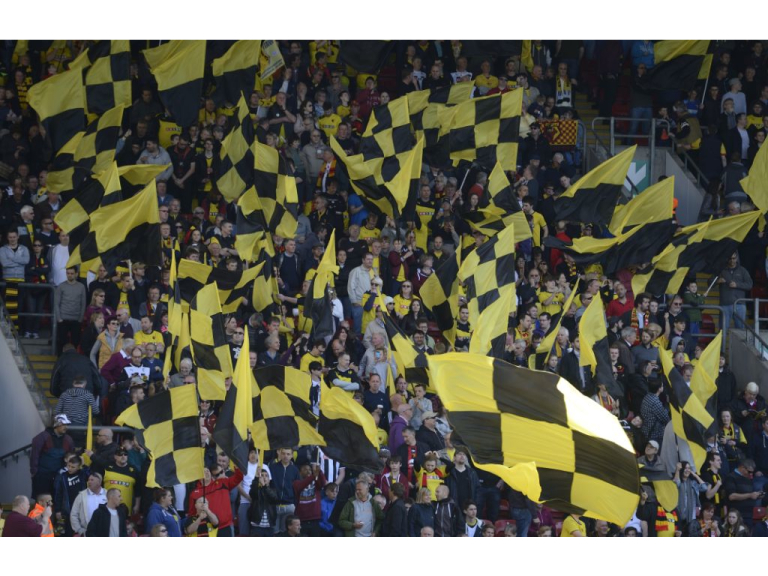 Watford will be celebrating the towns football clubs promotion to the premiership with a family friendly event held at Cassiobury Park on Monday 4 May 2015. Fun at the park will start from 1pm with music and entertainment, food and refreshment stalls and a bouncy slide and rides for children. Watford’s local radio station, Vibe FM will be on centre stage (near the Cedar Tree) with big screens and welcoming the team and players onto the stage at 2pm. The event will end at 5pm. The Council has asked that visitors use public transport or park in town centre car parks, as there will be no parking available in Cassiobury Park (Gade Avenue). Cassiobury Park Avenue, Shepherds Road, Gade Avenue and Swiss Avenue will also be closed (access only).